Micro Recon 1 Spear Point - 2 5/8" closed. 1 7/8" black finish AUS-8A stainless spear point blade with dual thumb studs. 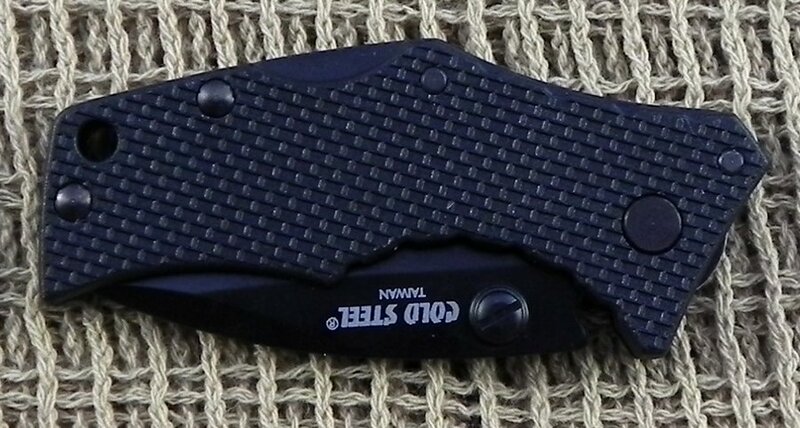 Black textured G-10 style Griv-Ex handles. Features the Tri-Ad Lock. Lanyard hole.